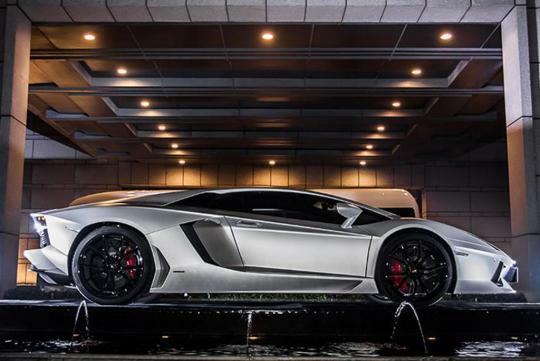 In line with the upcoming Beijing Motor Show in China and Jackie Chan's 60th birthday, Lamborghini took off the wraps of its one and only Aventador Jackie Chan Edition. As part of Lamborghini’s Ad Personam program, Lamborghini came up with this special edition with the help of some unique titanium gray exterior paint scheme along with glossy black Nero Ade alloy wheels. Inside, a red and black theme surrounds the car and the word "long" (Dragon in English) is embroidered in the headrests and doors as a reference to the actor's Chinese name - Cheng Long. 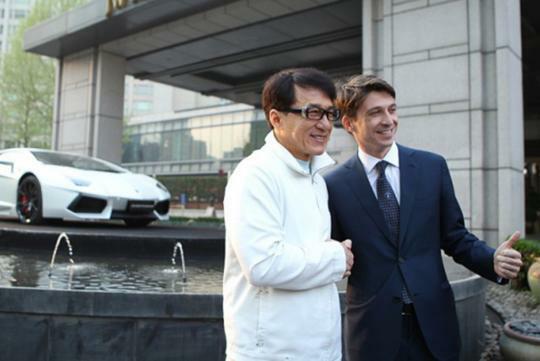 It is said that the car will be auctioned off and the money raised will be directed towards the China Film Institute's "Jackie Chan Charity Fund" which supports the development of China's film industry. 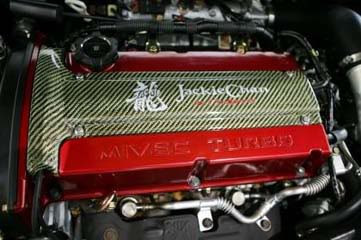 Mitsubishi must be very angry with Jackie. hehe.